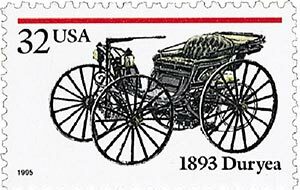 U.S. #3019 – The Duryea’s called their car the Ladies Phaeton, because it looked like the lightweight open carriages or phaetons that were popular at the time. On September 20, 1893, the Duryea brothers successfully tested America’s first gasoline-powered car in Massachusetts. In the 1890s, brothers Charles and Frank Duryea made a living building bicycles in Springfield (now Chicopee), Massachusetts. In their spare time, the brothers began experimenting with motors. One day they purchased a horse-drawn buggy for $70 and fitted it with a four horsepower single cylinder gasoline engine. They also installed a friction transmission, spray carburetor, and low tension ignition. The brothers took their car for its first test drive on September 20, 1893. They took it for another test drive two months later, on a busier street, and attracted the attention of the local newspaper. 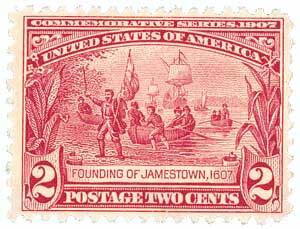 U.S. #329 – Jamestown was founded 69 years before the rebellion. On September 19, 1676, Nathaniel Bacon led an irate group of followers into Jamestown and burned nearly all the buildings to the ground. In the mid-1670s, some Virginia colonists grew concerned over the government’s lack of action in the wake of increasing Native American attacks on their settlements. Among them was Nathaniel Bacon, who also took issue with Virginia’s governor William Berkeley. Bacon felt snubbed after not receiving a political appointment or being allow to trade with the Native Americans. When word spread about a new Indian raiding party, several hundred settlers met and elected Bacon as their leader, essentially beginning the rebellion. On September 17, 1787, 39 delegates from 12 states signed the U.S. Constitution, laying the groundwork of our nation’s government. In the Spring of 1787, delegates from 12 of the 13 states (Rhode Island didn’t participate, they opposed a national government) met at Independence Hall in Philadelphia to amend the Articles of Confederation. 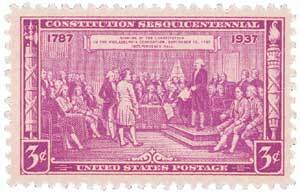 The Constitutional Convention was set to open on May 4, but few of the delegates had arrived by that time. Though, one arrived early and eager – James Madison. 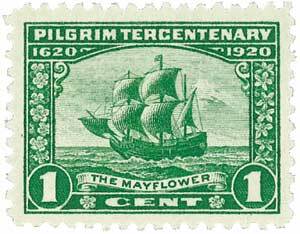 On September 16, 1620, the Mayflower left England to establish a colony in America. The Pilgrims chartering the Mayflower were devout Christians who felt that only by breaking all ties with the Church of England could they retain their integrity before God. They sailed to Holland first, but after no improvement they set sail for America. On September 15, 1831, the John Bull steam locomotive made its inaugural trip on New Jersey’s first railroad. 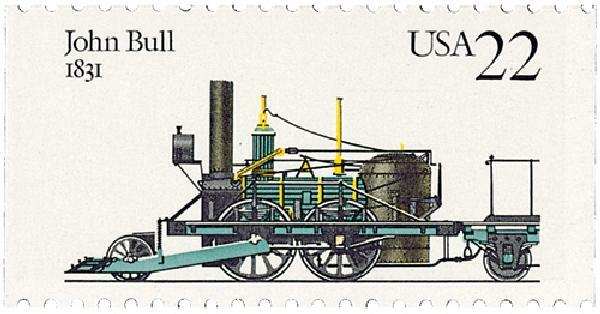 The John Bull was built in England by Robert Stephenson and Company for the Camden and Amboy (C&A) Railroad in New Jersey. 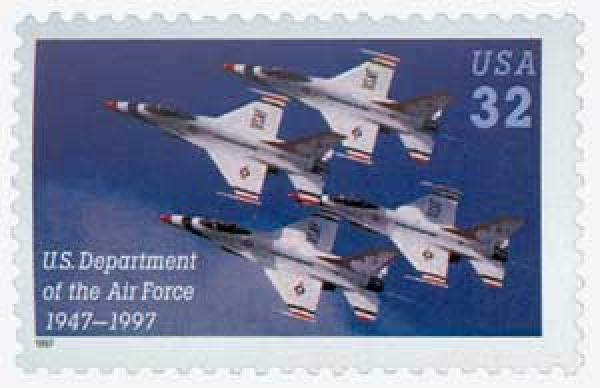 Once it was completed, it was dismantled and shipped to America. Railroad engineer Isaac Dripps reassembled the locomotive, despite a lack of drawings or instructions on how to do so. As the first locomotive in the state, it was christened number one, and named Stevens, after the president of the C&A Railroad. The Stevens first rode the rails on September 15, 1831.